We have been discussing in the office all of our nostalgic products of the late 90’s, early 2000’s. I’m sure you can relate to our list! Little drops of carpet spoiling dynamite. One pearl can ruin any fabric within 5 feet and no amount of scrubbing to avoid a week of grounding from your parents could remove this dusty destroyer. One spritz just never seemed enough did it? A second spritz should just about lighten it enough but before you know it you’ve attempted subtle highlights and covered your whole head and have to wait 6 months for your hair to return from a brittle straw textured mop. Sickly sweet and quite unforgettable. 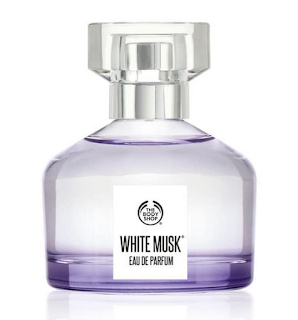 I believe Dewberry has been discontinued for quite a few years but one sniff of this will transport you back to your school disco. It even came in a greasy oil if you wanted to attract the bees also. Like rubbing a pumice stone over your face that removes the top layers of your face. 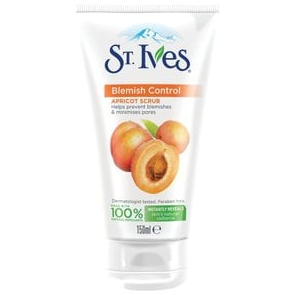 Why were we so keen to scrub our beautiful, fresh plump skin away? Scrunch in the mousse and always dry with a massive diffuser. 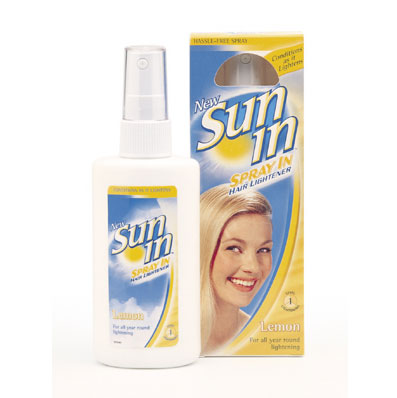 Hair will be left crispy and defined and if you’ve been using the Sun In then volume is guaranteed. 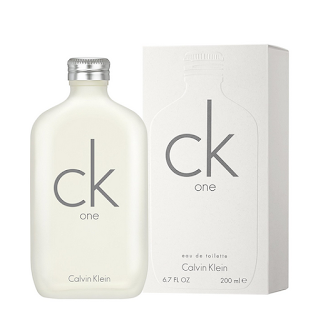 Actually a really lovey fresh fragrance that I still get wafts of walking down the street. I felt like Kate moss in the 90’s as I slung this in my school bag. 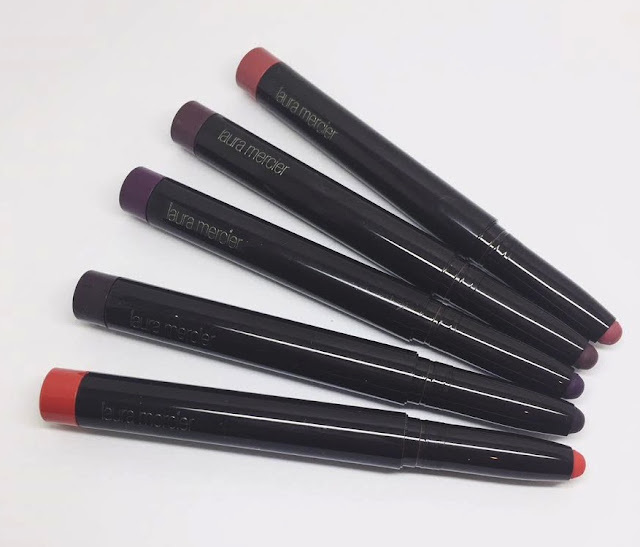 Two must have lipsticks of the 90’s. 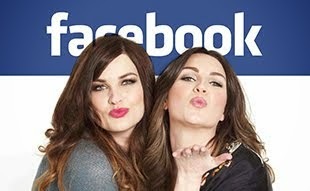 I don’t know if it actually suited anyone but it was the trend so we had to have it! Similar effect to the Bronzing balls all over the carpet. Also did anyone ever finish a pot? 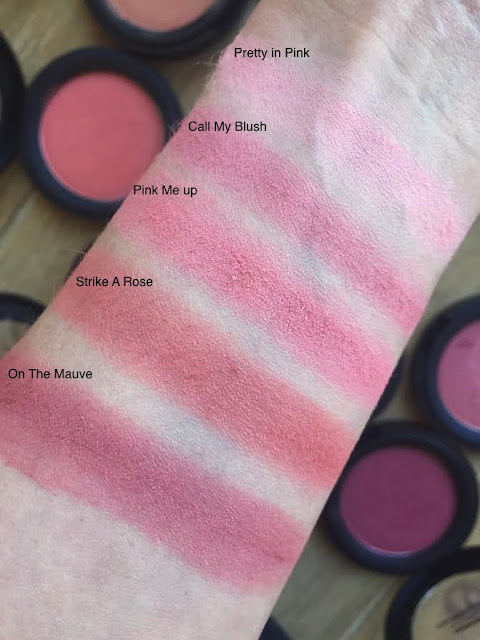 What were your favourite products from your youth? I’m sure there are loads we have forgotten about. 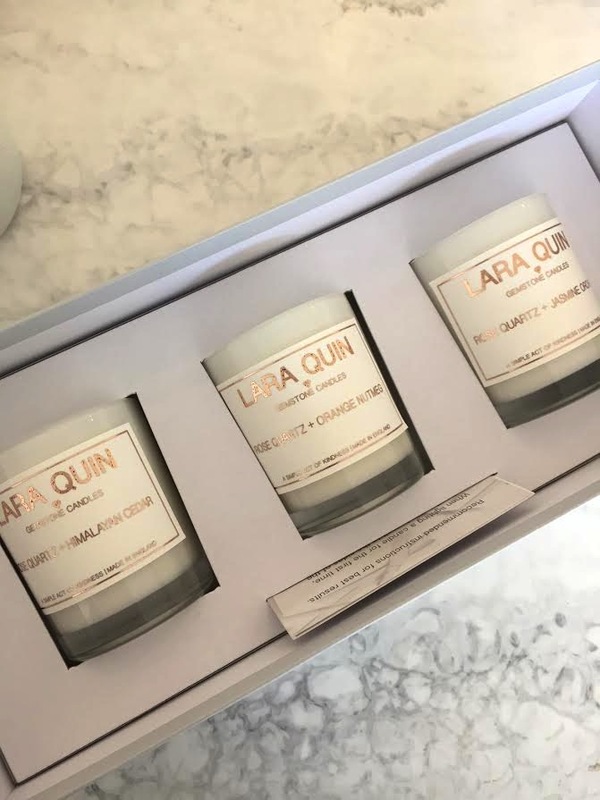 We are always on the look out for new candles and home fragrance and when a brand has a sweet back-story it encourages you to love it even more. 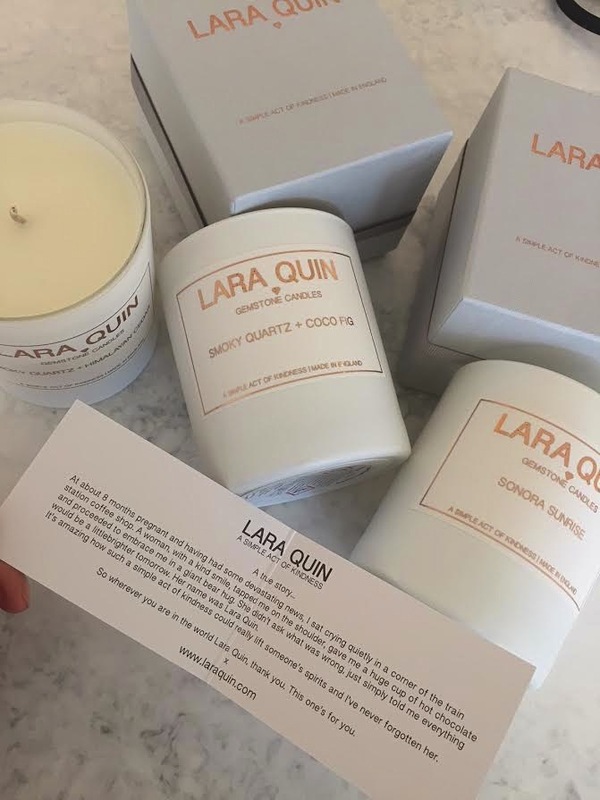 Lara Quin is a luxury candle, room fragrance and reed diffuser brand which was created after the founder Jess, was touched by an act of kindness by a complete stranger. Whilst upset at a train station after some terrible news a lady approached her, gave a huge hug, a cup of hot chocolate and told her tomorrow would look a little brighter. The ladies name was Lara Quin and from that moment was the inspiration behind the collection. Each candle is presented in a white frosted weighty glass holder and rose gold accents. The candles are all soy wax with cotton wicks and are blended with eco-friendly bases of essential oils and essence of gemstones. The fragrance from these candles is phenomenal. 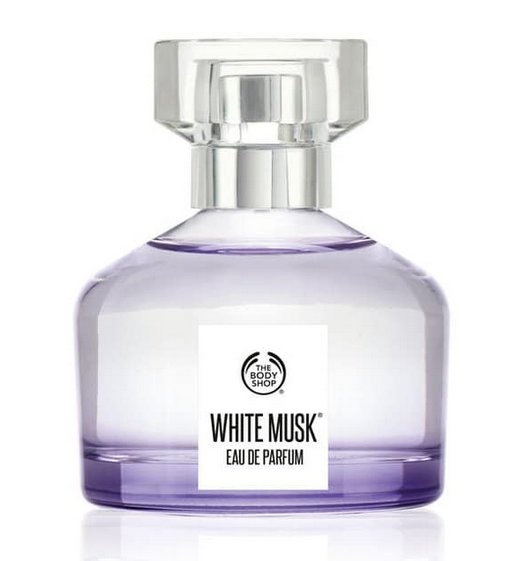 As soon as you walk into the room you can detect the scent, even when it hasn’t been burning. Fragrance options include Smoky Quartz and Coco fig, Rose Quartz and Jasmine Orchid, Smoky Quartz and Himalayan Cedar (my favourite) and Sonora Sunrise which, literally smells like you just stepped into a five star spa. 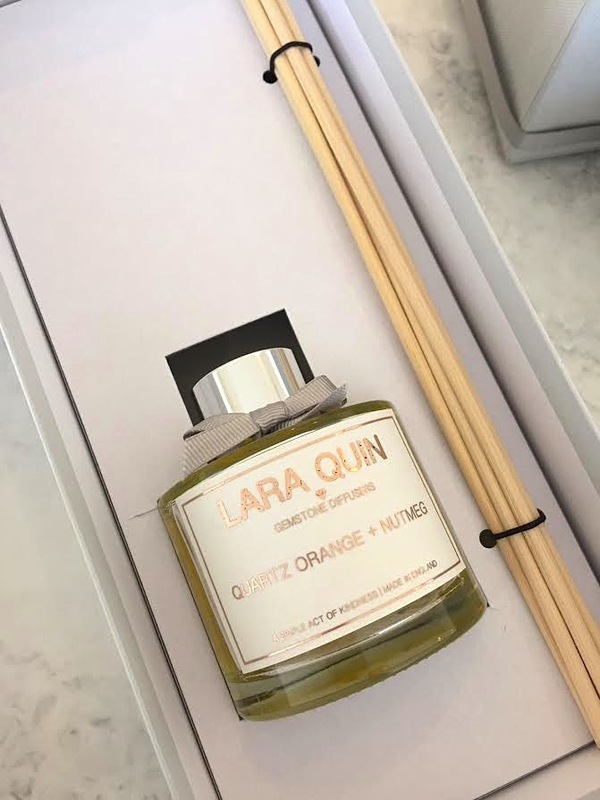 Lara Quin also has a set of miniatures and reed diffusers, which are all packaged in a beautiful, dove grey box with satin ribbon. Definitely a brand to watch out for and a little reminder of the kindness in the world, which quite often is easy to forget. These are available from https://laraquin.com/ and are priced at £30 each for the large candles and £34.00 each for the reed diffusers. Well these are just lovely! 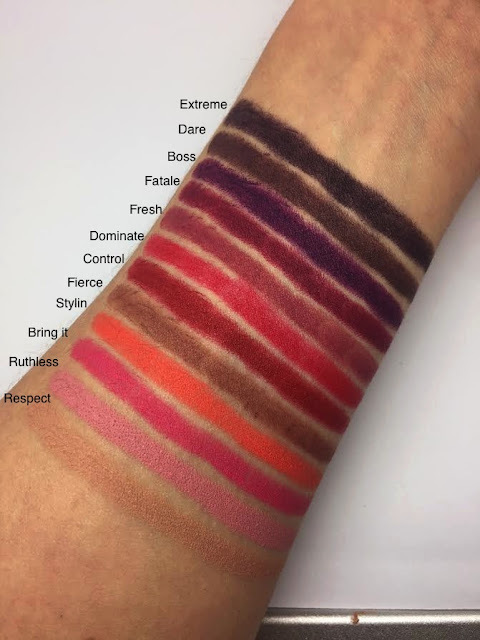 Velour extreme matte lipstick that looks like velvet, doesn’t feel like a standard matte lipstick whatsoever and applies in a creamy coating of deeply pigmented colour. 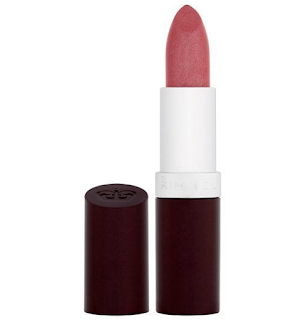 It’s like laying a sheer veil of sumptuous fabric over the lip. 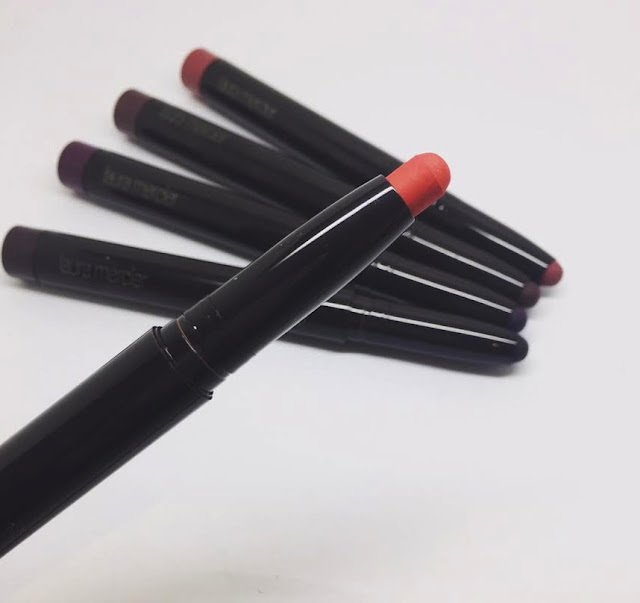 It’s the sort of lipstick you can apply and forget about. It’s longwearing and completely comfortable. Didn’t cling to my awfully dry lips and didn’t bleed or transfer. It’s literally the dream. 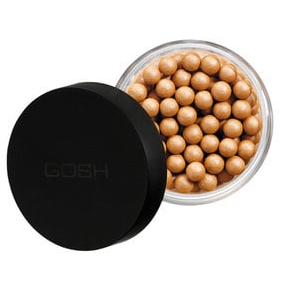 The liquid thin mesh ensures the pigments stay true and feel weightless. No colour change or fade. 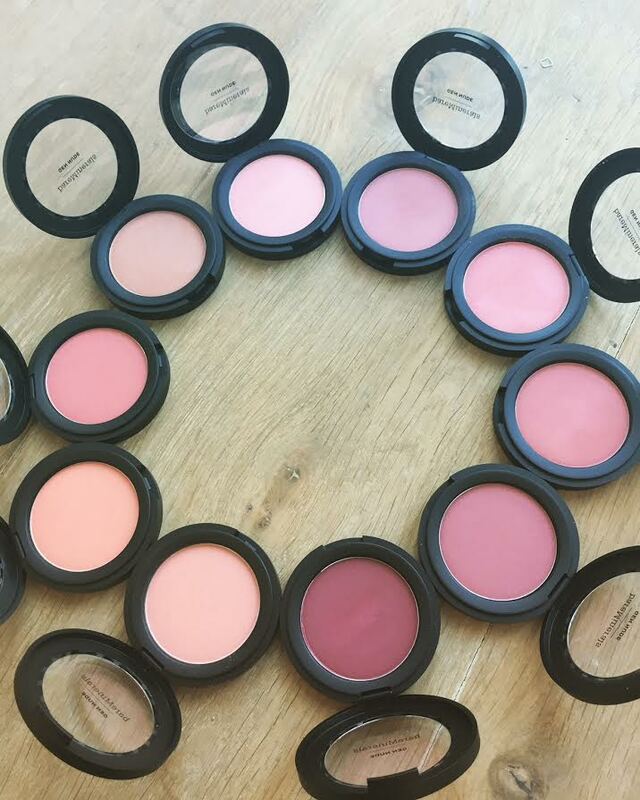 It contains fine silica powders, which absorb excess oils in the lips but without sucking out the moisture. 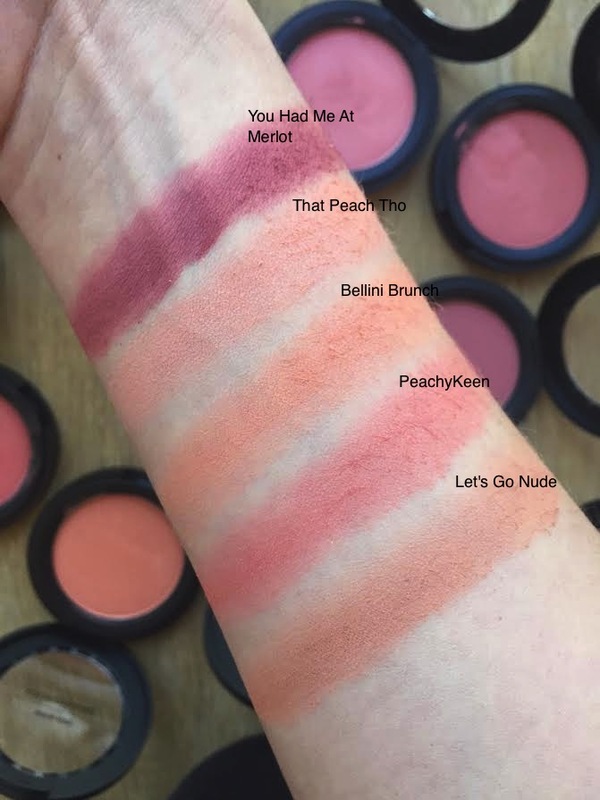 Available in 24 shades to flatter all skin tones. We have half of the shads to share with you.